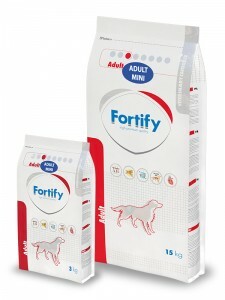 Gluten-free highly digestible food, developed and produced in cooperation with veterinarians. The food is for adult dogs of small breeds, stimulates their excellent physical condition, digestion and good quality of hair and skin. Nutritionally balanced food has been created based on the latest scientific knowledge as a full nourishment for dogs focusing on prevention of allergic diseases.